Home » News » Bleed Again Unleash New Video & Announce Album Launch Show & Tour Announcement! Bleed Again Unleash New Video & Announce Album Launch Show & Tour Announcement! Fresh and exciting modern metal act, Bleed Again from the south coast of the United Kingdom strike hard with their massive melodic metalcore that is comparable to the likes of American heavyweights Killswitch Engage and Trivium in both musical style and memorable energetic live performances. 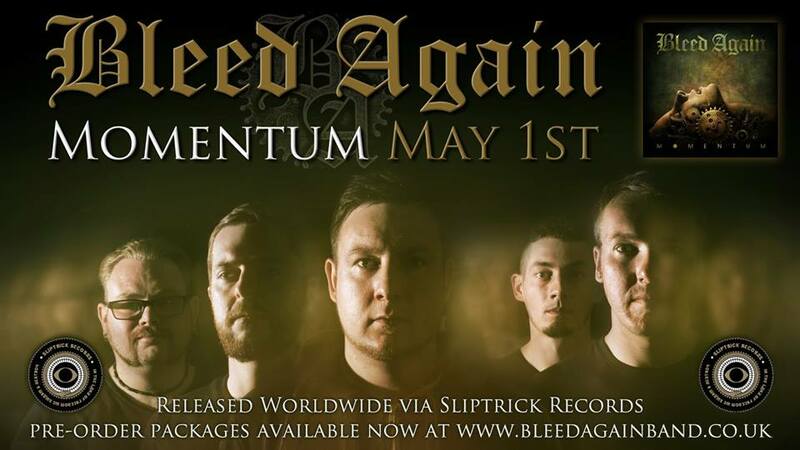 Bleed Again has dropped their video for “Decimate”, the second track taken from their highly-anticipated debut album, Momentum. The album will be released through recently signed US label Sliptrick Records on May 1st.